Nightmare competition. 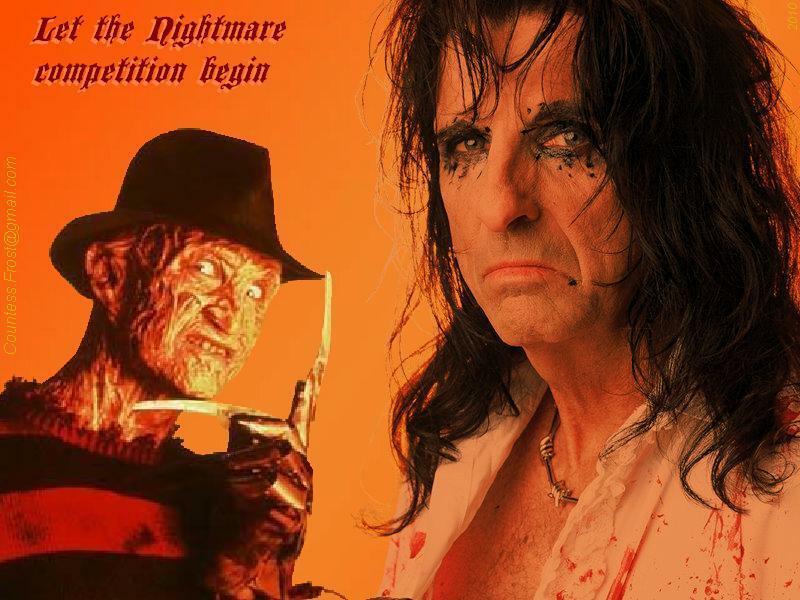 "Nightmare competition" - although they're both known for their own Nightmare performances, here's an Alice Cooper & Freddy Krueger wallpaper created da TheCountess. HD Wallpaper and background images in the Freddy Krueger club tagged: freddy krueger robert englund anoes a nightmare on elm street movie alice cooper music performance artist fan art wallpaper thecountess. This Freddy Krueger wallpaper might contain anime, fumetti, manga, cartoni animati, ritratto, headshot, primo piano, and closeup.